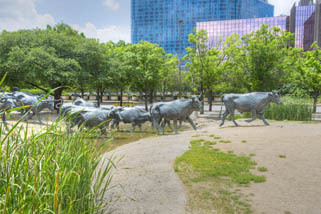 click photo to enlarge Karen has an Aunt and a cousin in Dallas we went to visit. We were there once before in 2004 so figured it was time to go again. We only had 2 full days and there is a long story behind that but.. not here. 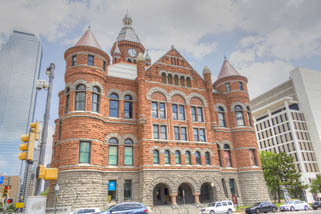 The building to the left is called the Old Red Museum and was built in 1892 as the Court House. 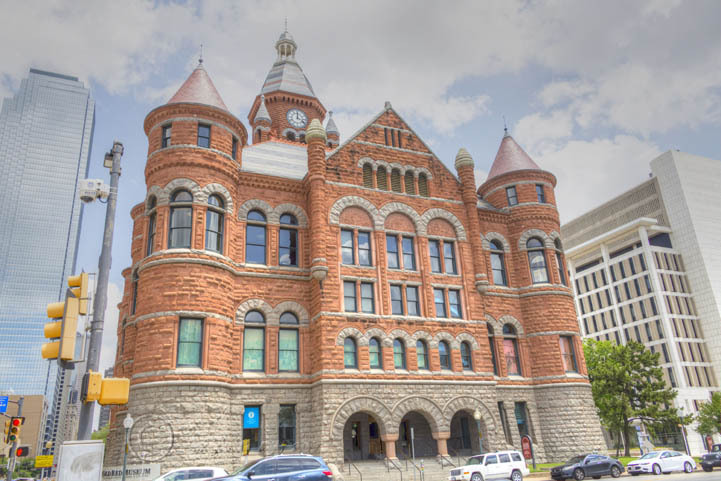 If you ever watched the TV show Walker, Texas Ranger, you would see them walking out of this building. click photo to enlarge The last time we visited Dallas the George W. Bush Presidential library was not built yet as he was our 43rd and current president at the time. 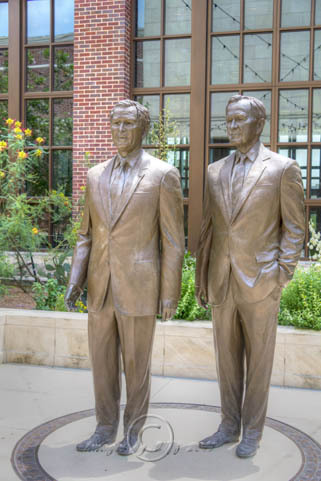 We have been to a number of presidential libraries and I wanted to see this one. 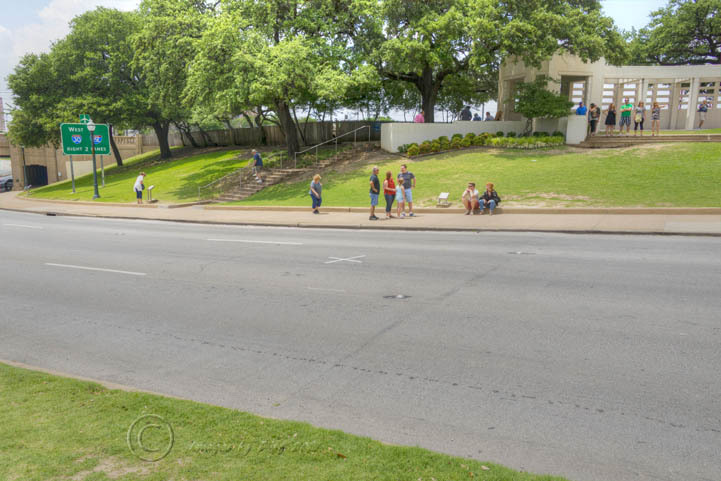 The picture of the road below is at the infamous grassy knoll and the X on the roadway is the spot where President Kennedy was shot. 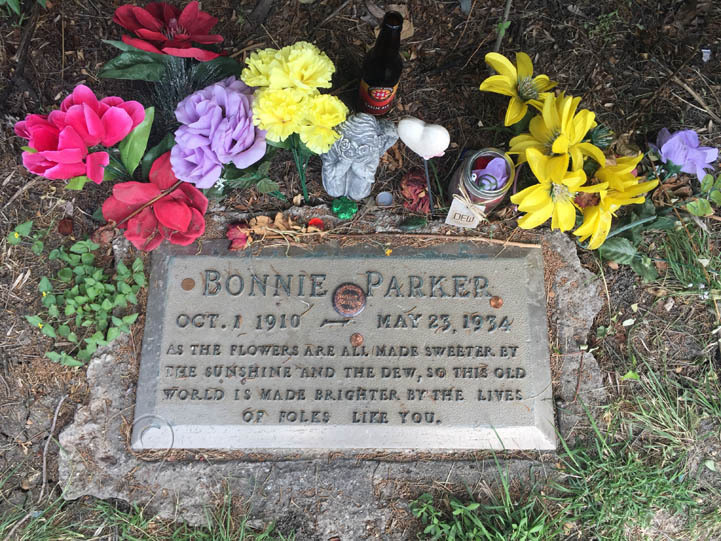 Also while in town we weren't far from Bonnie Parkers grave site so we had to go see it.